Rebuilt Truck Drivetrain Components and Repair Parts. Rebuilt Truck Transmissions, Differentials, Transfer Cases, PTO and Repair Parts Wholesale Priced and Delivered Worldwide. Units and Repair Parts From: Allison, Borg Warner, Cotta, Chelsea, Dana, Eaton, Fabco, Fuller, Mack, Marmon Herrington, Meritor, Muncie, Navistar, New Process, NewStar, Oshkosh, Parker, Rockwell, Spicer and ZF in Rebuilt, New and Used. Rebuilt Truck Transmissions by: Allison, Eaton, Fuller, Mack, Meritor, Rockwell, Spicer and ZF. Rebuilt Truck Differentials by: Eaton, Mack, Meritor, Rockwell, Spicer and Clark. Rebuilt Power Take Offs by: Chelsea, Muncie, NewStar and Fabco. Rebuilt Transfer Cases by: Fabco, Rockwell, Dana Spicer, Mack, ZF, Meritor, Navistar, Oshkosh, Marmon Harrington, New Process and Borg Warner. The Rebuilt Truck Transmission, Differential, Transfer Case, PTO Exchange and Discount Outlet Offers Quality Remanufactured/Rebuilt Driveline Units and all Repair and Replacement Parts. We will Professionally Rebuild or Repair any Truck Transmission, Differential, Transfer Case or Power Take Off (PTO). 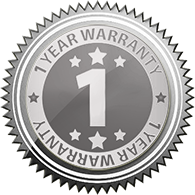 All Rebuilt Units Come With a Full One Year Unlimited Mileage Warranty. We stock used, rebuilt, new, factory remanufactured and salvage medium-duty and heavy-duty truck drivetrain components from the above manufacturers as well as replacement parts to do the job yourself. We Ship and Deliver Worldwide, Export all Over The Globe and Offer Wholesale Pricing on All Products We Sell. We have Distribution Centers and Partner Repair Facilities all Over The USA For Fast Service and Delivery. 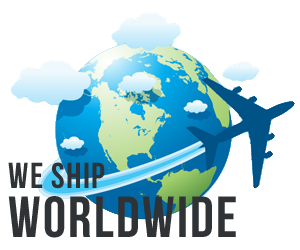 We Ship Via, UPS, DHL, Truck Freight, Air Freight and Sea Freight. We also Deliver Overnight when needed. We accept all forms of payment including: Visa, Master Card, Discover, American Express, Paypal, Company Checks and Good old American Cash. For all your truck drivetrain and driveline parts needs contact Wholesale Drivetrain today. We have you covered. Units in stock for: Freightliner, Kenworth, International, Peterbilt, Mack, Volvo, Sterling, Ford, GMC, Autocar, Western Star, Dodge and Oshkosh trucks. © 2019 Rebuilt Truck Drivetrain Components and Repair Parts.